In the debate last night Hillary told one of the most blatant lies she could have ever told about the so-called “Clinton Foundation”. She said that over 90% of the fund goes to help poor people. Umm. Nope. Audits have shown that less than 7% of the Clinton Foundation funds go to help anyone other than the Clintons themselves. Yep. Less than 7%. The subject of the island nation of Haiti comes up too. Haiti was used like a poster child for the Clintons to raise money. But the people of Haiti are still suffering and the money that the Clintons collected (millions of dollars) never was used to improve the problem in Haiti. 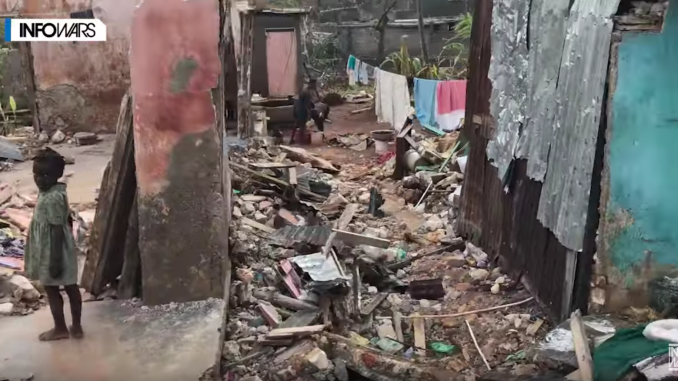 Watch this short video to see the devastation in Haiti and the sentiments of relief workers on the ground in Haiti and what the people of Haiti think of Hillary Clinton. The dishonesty of Hillary is appalling but also, her choice to line her own pockets at the expense of Haitians shows how blatantly evil she is. Check it out.